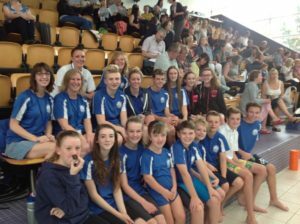 Littlehampton swimmers achieved the best results to date at this year’s Sussex Winter Count Meet. We had a total of 23 swimmers attending. Gold Medals were won by Charlie Hodges (3), Jessie Brown and Jess Frayne. Swimmers also collected 12 silver medals and 6 bronze medals. Club Records were broken by Jessie Brown (2) Archie Strowger, Jess Frayne and Charlie Hodges. A total of 61 swims qualify for the 2016 County Championships. The highlight of the weekend was Madi Walker winning the top points trophy for the 13 year girls competition.